To express our gratitude and appreciation to all of those that believe in our PAVLOU SalesTaxPRO® and who have followed us on our various social media outlets, we would like to extend this introductory offer. After taking our Assessment Tool to find out, which of our products best fits your business needs, add the above promotion code to receive an additional 10% off the already discounted price! Please remember, this offer will end February 5, 2014 at midnight. If you are curious as to how our assessment tool works, it’s easy! 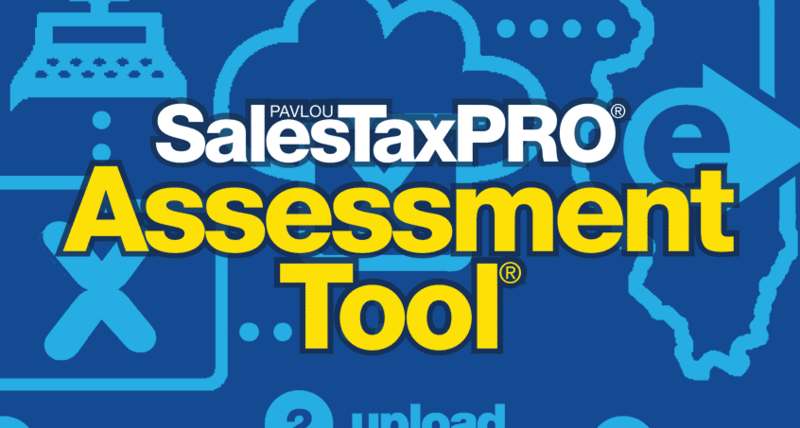 As you answer a series of questions, our proprietary tool will examine and align your key business details with the most effective PAVLOU SalesTaxPRO® solution. Your answers remain anonymous, but the more accurate your responses are, the better PAVLOU SalesTaxPRO® can help your company pay only the taxes you owe.